Sign up today, here’s what you get! 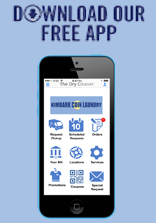 FREE Mobile App provides an easy way to track and pay for your orders! FREE broken shirt button replacement! Text Message reminders 24 hours before your scheduled pickup day! We Pick-up every Tuesday & Friday. You will receive a text message reminder 24 hours before your scheduled pickup. We will pick up your Dry Cleaning & Laundry, professionally process it, and deliver it back to you. 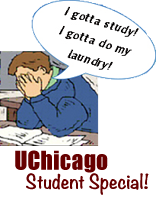 You can choose to have your laundry and dry cleaning picked up every Tuesday or Friday. You will receive a text message reminder 24 hours before your scheduled pickup day. If you require service simply respond "YES" to our text message to confirm your pickup. Request-A-Pick-Up: We will wait for you to contact us via our website or our Mobile App, to schedule your pickup. Service Request must be submitted before 5:00 PM for same day pickup.